The European Union has decided to turn to alternative gas suppliers such as Azerbaijan, Turkmenistan, Algeria and Turkey following recent “political challenges” including the Ukraine crisis and the cancellation of the Russia-led South Stream gas pipeline. On Wednesday, the European Commission published a new Union Energy Package that focuses on ways to diversify future supplies as well as to boost energy efficiency and security. “To reach our goal, we have to move away from an economy driven by fossil fuels, an economy where energy is based on a centralized, supply-side approach and which relies on old technologies and outdated business models,” the report said. The EU now intends to intensify efforts on the ‘Southern Gas Corridor’, that’ll enable Central Asian countries to export gas to Europe. The creation of liquid gas hubs with multiple suppliers will be a solution for Northern Europe, which should be followed in Central and Eastern Europe, and in the Mediterranean area. Since taking office in 2014, Sefcovic has called the $45 billion ‘Southern Corridor’ project a priority. The gas pipelines will be laid to southeastern Europe from the Caspian region and potentially the Middle East. The Trans-Adriatic Pipeline (TAP) via Italy, partly owned by BP, will become the final part of the project and is expected to provide Europe with 10 billion cubic meters of Azeri gas by 2020. Europe renewed its interest in deliveries through the 'Southern Corridor’ after Russia suspended the $50 billion South Stream gas pipeline, which would have had an annual capacity of 63 billion cubic meters.In order to reduce dependence on Russian gas, the EU intends to analyze the long-term demand for gas among all member countries, to examine all contracts with suppliers for compliance with European law. The crisis in Ukraine has threatened gas transit to Europe, as the country more than once violated the terms of supply agreements with Russia. Ahead of the document’s release Maros Sefcovic, the Vice President of the European Commission in charge of Europe’s energy agenda, told the Financial Times that the EU should diversify its energy sources, loosening its dependence on Gazprom, Russia’s gas export monopoly. “I think that Europe has really got tired of each summer having a discussion of how to make it through the next winter. The world’s biggest economy should not have such concerns in the 21st century,” he said. According to Sefcovic, Russia would remain a “very important supplier” for the EU but its influence would lessen. Sefcovic said the EU had made mistakes in attempting tobuilda southern corridor for fuel supplies, in particular, the Nabucco gas pipeline. “We have learnt the lessons from Nabucco. This project failed because there was not enough political support. We simply believed that this project would happen just because of the business interests,” he said. The EU would throw all its political weight behind TAP to ensure work was completed by the end of 2019, Sefcovic said. The Trans-Adriatic Pipeline is expected to supply roughly two percent of European gas demand. 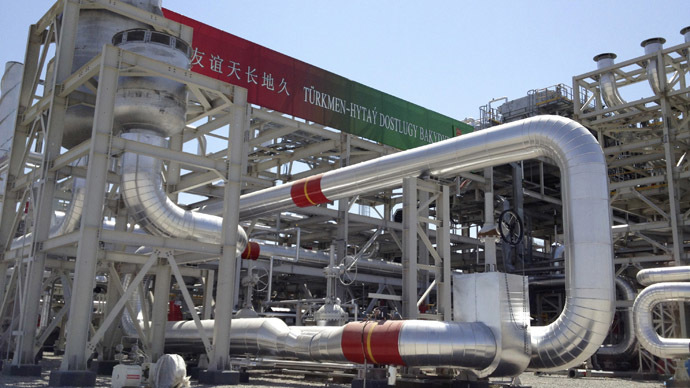 However, the project’s executives say capacity can be lifted to 20 billion cubic meters after 2020. In 2014, the EU imported 53 percent of its consumed energy, which cost about €400 billion, according to the European Commission. Six of the 28 EU member states are 100 percent dependent on Russian gas which makes up 27 percent of gas consumed by the EU.